According to the American Heart Association over half of the adults in this country have high blood pressure. The death rate from high blood pressure complications increased by by 11% between 2005 and 2015. In 2017 the standard guidelines for a diagnosis for high blood pressure was lowered to 130/80 from 140/80. The ideal blood pressure is 120/80. The World Health Organization has determined that hypertension (high blood pressure ) is the leading cause of death caused by cardiovascular disease. 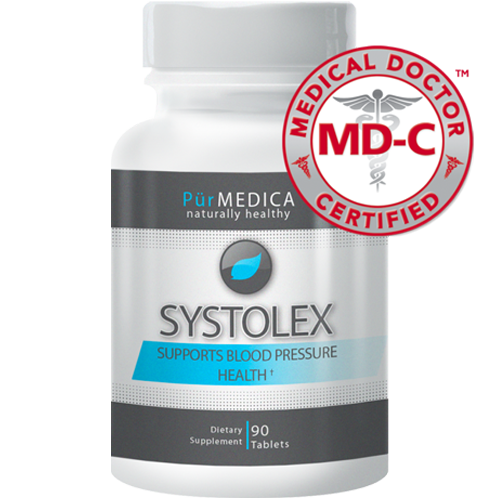 Purmedica has designed Systolex a blend of natural extracts shown to help maintain a healthy blood pressure without the side effects often found in prescription medications. Calcium within the cells plays an important part in regulating cardiovascular functions. According to Harvard Medical School's health publication, "Calcium is important for healthy blood pressure because it helps blood vessels tighten and relax when they need to." We have included a small amount of calcium (250 mg) as most Americans get much of their calcium from their diet but they often not get enough. The Recommended Daily Amount (RDA) of Calcium is 1000 to 1200mg. It is estimated that nearly 75% of people in the US are deficient in magnesium contributing to a host of medical conditions including high blood pressure. We have included in Systolex 550mg of of magnesium oxide (138% of the MDR or minimum daily requirement). Magnesium has been shown to modestly reduce blood pressure. The extracts of Hawthorn contain vitexin which is a flavonoid used to reduce blood pressure, improve heart pumping efficiency and regulate abnormal heart rhythms. Research has indicated that hawthorn reduces blood pressure by dilating arteries and relaxing peripheral blood vessels. Hawthorn also appears to increase levels of nitric oxide and has a mild diuretic effect which can lessen fluid retention. Extracts from the Olive leaf act as a natural ACE inhibitor (angiotensin converting enzyme). ACE inhibitors are often prescribed pharmaceuticals for the treatment of high blood pressure. Studies have demonstrated olive leaf extract not only significantly reduces blood pressure but has an added benefit of reducing triglycerides levels. Taurine promotes cardiovascular health. Scientists have found when studying people in areas where populations have a very long life expectancy , that these people have a high intake of dietary taurine. In addition to cardiovascular benefits, Taurine has shown improvements in hearing, insulin sensitivity, and benefits to the immune system. Animal studies have shown Taurine appears to improve cardiac rhythms and provide protection from heart failure. Early studies have shown Coleus Forskohlii extract to be effective in reducing blood pressure. Forskolin may also have a positive effect on the thyroid, muscle relaxation and reduction of histamine production. A compound found in celery seed extract (3nB) produces a dilating and relaxing effect on blood vessels that significantly reduces blood pressure. To obtain 100 mg of 3nB one would have to consume at least 400 stalks of celery! Maintaining a healthy blood pressure is of vital importance. Maintaining it naturally will eliminate side effects of pharmaceuticals. ACE inhibitors and Calcium channel blockers are the most commonly prescribed and while they are effective in lowering blood pressure have been found to reduce blood flow to the brain. 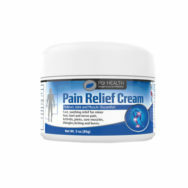 Systolex contains ingredients that increase blood flow to the brain. We suggest regular (daily) monitoring of your blood pressure at home in collaboration with your health care provider. You may be able to control your blood pressure naturally or reduce the amount of your prescription medication. Bottle says three (3) tablets daily - is that a 1-time or over a period of hours? Just found out I have kidney damage . Will any of the ingredients cause problems with a low phosphorus diet? Systolex contains Calcium Carbonate and Magnesium Oxide. I am not sure how these minerals would affect a low phosphorus diet.